Plus taxes and Regional Sports Fee. For 12 months w/ 24-mo. agmt. Autopay & Paperless bill req’d. $135/mo. in months 13-24 (subject to change). Regional Sports Fee up to $8.49/mo. is extra & applies in select markets. * See offer details. 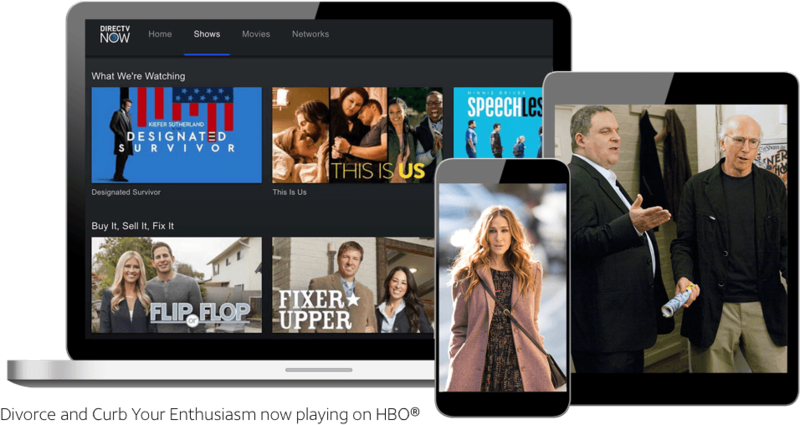 The DIRECTV App is included with your DIRECTV package, and allows you to watch movies and shows anywhere you go, whenever you want. The best part? You don’t need installation or hardware. All you have to do is download the app and connect your device to the same internet as your HD DVR, and record whatever you want. Movie buffs can’t get enough of the DIRECTV ULTIMATE All-Included Package. Access 250+ top networks, including The Movie Channel, Sundance TV, IFC, and 8 STARZ ENCORE channels, so you can watch all the hottest blockbusters and timeless classics your heart desires. You can even record up to 5 movies at once with Genie® HD DVR, included at no extra cost. Don’t settle for less than premium channels from DIRECTV—with top networks like STARZ®, Cinemax®, ENCORE®, SHOWTIME®, and HBO® calling your name. The best part? They’re included for 3 months at no extra cost. * Plus, add on pay per view programming and trending On Demand channels whenever you want. Sunday night football and live weekly baseball and basketball games just got even better with DIRECTV sports packages. Feel like you’re courtside with NBA LEAGUE PASS, get the best hockey action with NHL® Center Ice®, and cheer on your favorite soccer, football, and baseball teams with FOX Soccer Plus, NFL SUNDAY TICKET, and MLB TV every week. 50,000 of the hottest blockbusters and TV shows means you’ll stay entertained for hours with DIRECTV On Demand. 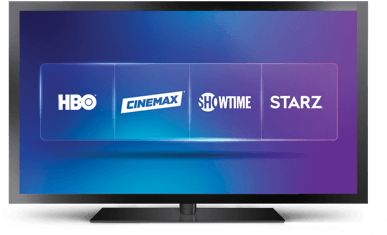 Enjoy premium movies and channels on Cinemax®, SHOWTIME®, STARZ®, and HBO®, as well as pay per view options. Just make sure your HD DVR is properly connected to your Wi-Fi and you’ll be good to go. What is Included with DIRECTV? State-of-the-art equipment like the Genie® HD DVR. *Claim based on 2017 ACSI survey of customers rating their own TV provider’s performance. *All DIRECTV offers require 24-mo. TV agreement. $19.95 ACTIVATION, EARLY TERMINATION FEE OF $20/MO. FOR EACH MONTH REMAINING ON AGMT., EQUIPMENT NON-RETURN & ADD’L FEES APPLY. Price incl. XTRA Pkg., monthly service and equip. fees for 1 HD DVR & is after $5/mo. autopay & paperless bill discount for 12 mo. Pay $60/mo. + taxes until discount starts w/in 3 bills. New approved residential customers only (equipment lease req’d). Credit card req’d (except MA & PA). Restr’s apply.